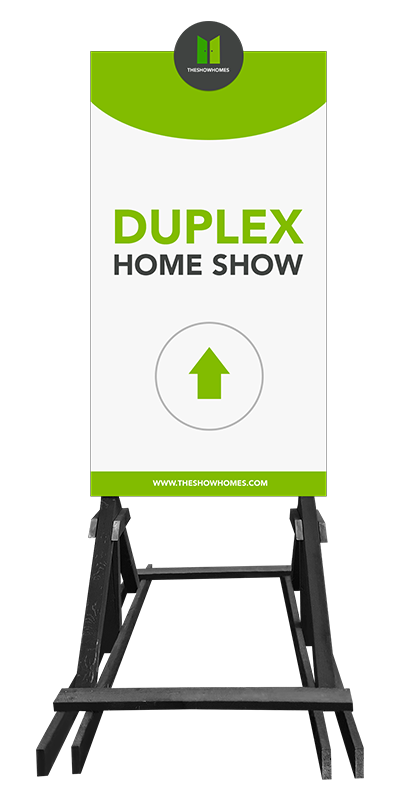 Property Developers and Home Builders rely on Development Site signage to create awareness for commercial and residential developments with prospective buyers and the public at large. We offer a full range of Development Site signage. From hoarding, fencing signage and scaffolding wraps to temporary coroplast jobsite signs. 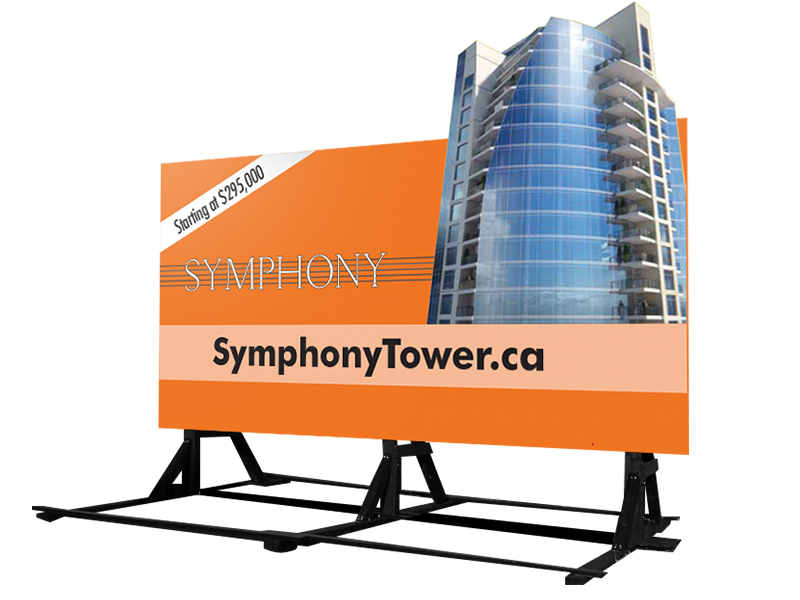 Extra large, temporary signage for real estate developments and large construction projects are one of our specialties. These large-format digital signs are made to withstand extreme weather conditions while being removable and cost-effective. We can produce and install virtually any type of development sign or site sign. 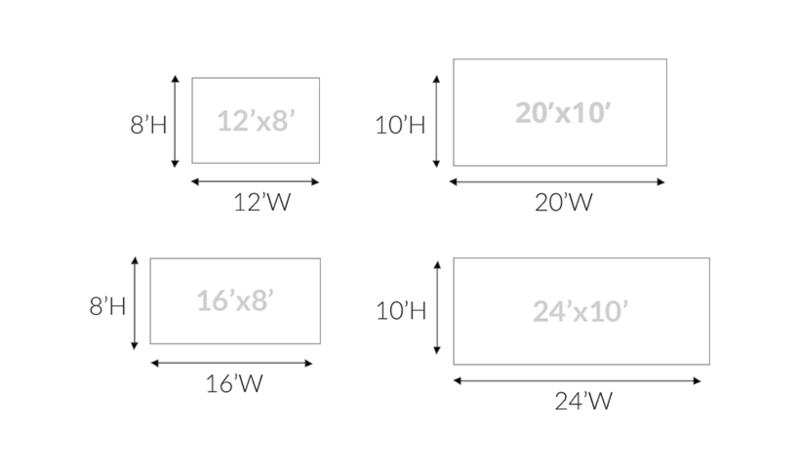 Choose from a wide selection of substrates for your perfect outdoor building site or development site signs. As full service sign shop, we manage everything from design to production and final installation. Transform an unsightly build site into an attractive advertising space. Durable materials create professional hoarding and site signage that stands up to the elements and proudly promotes your message. 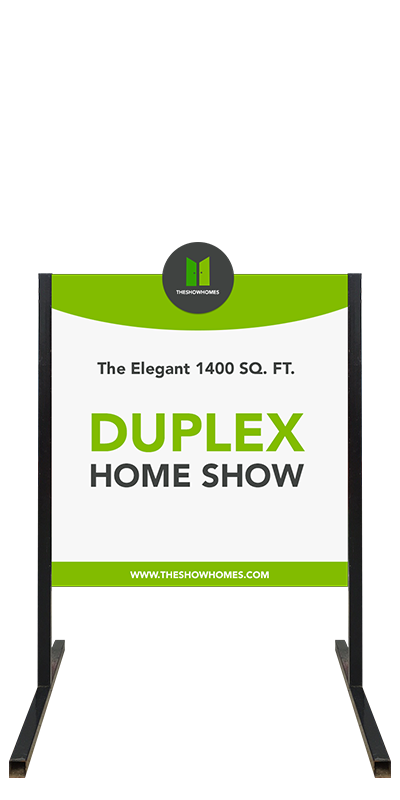 Advertise for a new development, display your company logo and show off promotions with a beautiful outdoor sign. With thousands of metres installed, we know how to transform plain painted hoardings and fencing into a vibrant advertising graphic. We print direct to rigid boards like dibond, crezon and aluminum which can be laminated with antigrafititi for added protection. We also print on soft materials mesh pvc and tension fabric material. 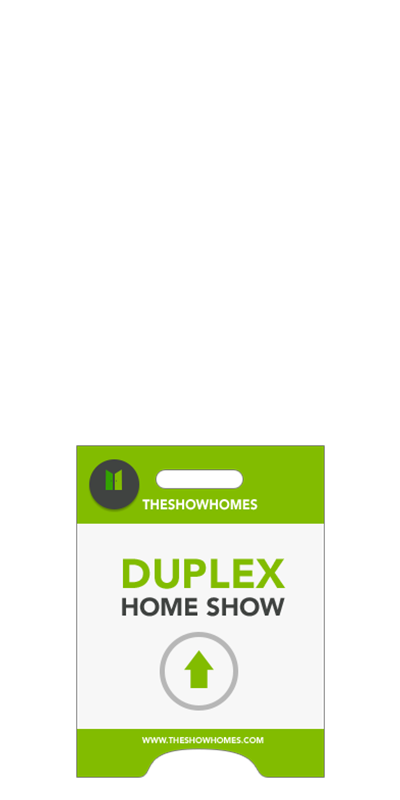 When you need to market a property or development site, but need don’t need it to be there for years, our temporary portable signage is a perfect fit. Directional systems both direct and informs staff, visitors and public. Directional signs can be used to encourage a flow of movement by people through and around your venue. We have a range of traditional and digital solutions talk to a specialist about your requirement. 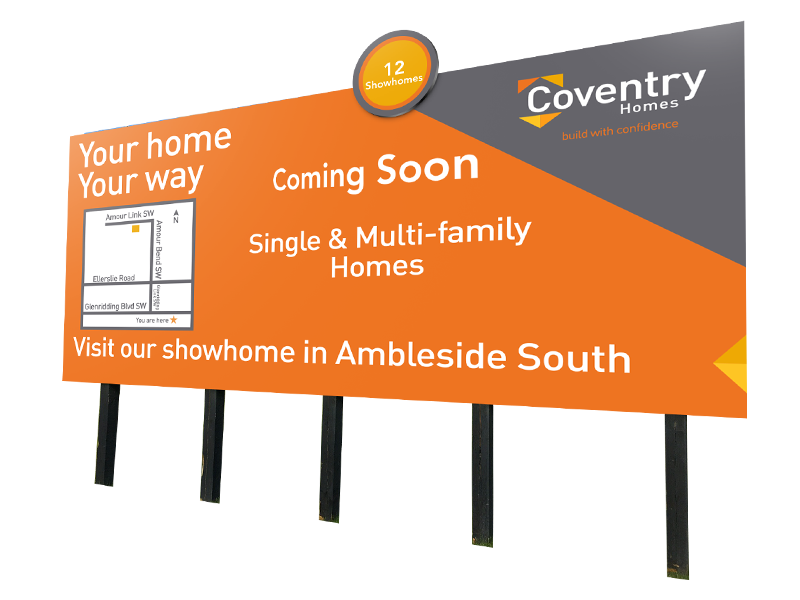 Increase advertising space with double sided portable development signs which allows your message/advertising to be seen from both sides. Bannerz offer tailored solutions for your site’s health and safety signage. Rezoning signage, stickers, posters and directional signage help keeps your staff and contractors safe while working on your construction site. Development site signs can be made to any size. Design your signage any way you want! Full color digital printing is available for all type of signs.